In this moving sequel to her national bestseller A Year by the Sea, Joan Anderson explores the challenges of rebuilding and renewing a marriage with her trademark candor, compassion, and insight. 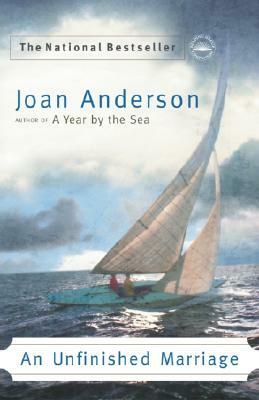 With A Year by the Sea, Joan Anderson struck a chord in many tens of thousands of readers. Her brave decision to take a year for herself away from her marriage, her frank assessment of herself at midlife, and her openness in sharing her fears as well as her triumphs won her admirers and inspired women across the country to reconsider their options. In this new book, Anderson does for marriage what she did for women at midlife. Using the same very personal approach, she shows us her own rocky path to renewing a marriage gone stale, satisfying the demand from readers and reviewers to learn what comes next. When Joan and her husband Robin decided to repair and renew their marriage after her eye-opening year of self-discovery, the outcome was far from certain. He had suddenly decided to retire and move to Cape Cod himself and embark on his own journey of midlife reinvention. After the initial shock of incorporating another person back into Joan’s daily life and her treasured cottage, they begin the process of "recycling"–using the original materials of their marriage to create a new partnership. Rereading the letters that she had written from Uganda during the early years of their marriage, she is reminded about the nervousness and joy with which she began their life together. Her sudden incapacitation with a broken ankle reveals an unexpected resourceful and tender side in her husband. A grimly comic and strained dinner party with three other couples reveals to both Joan and Robin some of the emotional pitfalls (and horrors) that can befall married couples. In her year of solitude by the sea, Anderson learned that "there is no greater calling than to make a new creation out of the old self." In An Unfinished Marriage, she charts the new journey that she and her husband have begun together, seasoned by their years of marriage but newly awakened to the possibilities of their future together. A unique, tremendously moving and insightful entry into the literature of marriage, it will provide salutary shocks of recognition and fresh hope for all women and men negotiating their own marital passages. Joan Anderson is a seasoned journalist who has also written numerous children’s novels, including 1787: The First Thanksgiving Feast and The American Family Farm, as well as the critically acclaimed adult nonfiction book Breaking the TV Habit. A graduate of Yale University, Anderson lives with her husband on Cape Cod, where her “Weekend by the Sea” program for women seeking to experience a time of reflection is thriving. She has appeared on The Oprah Winfrey Show, “CBS Weekend,” and numerous other broadcasts in connection with A Year by the Sea.